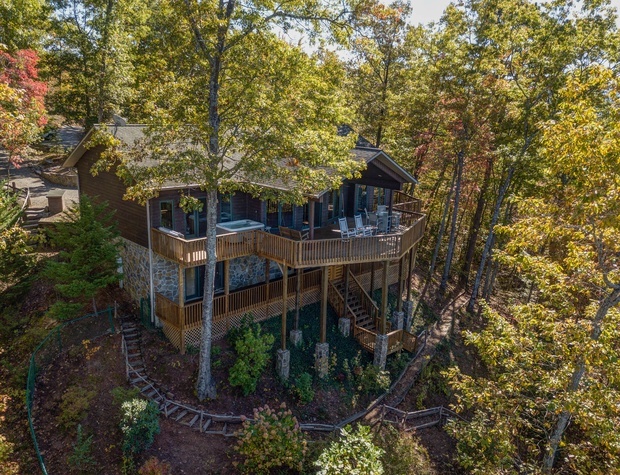 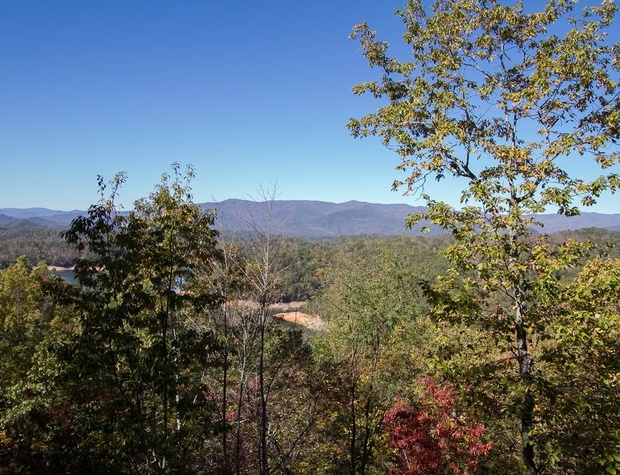 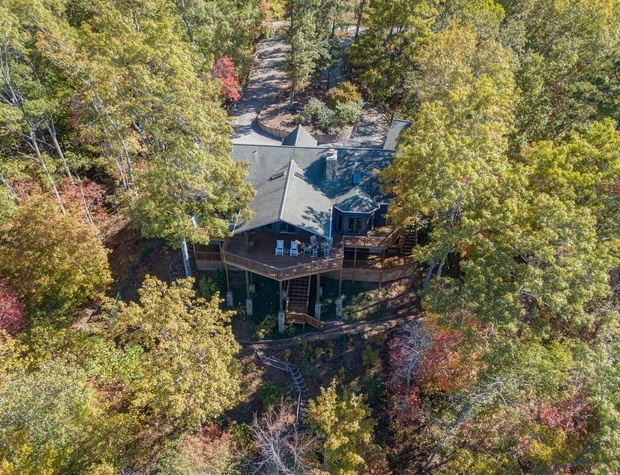 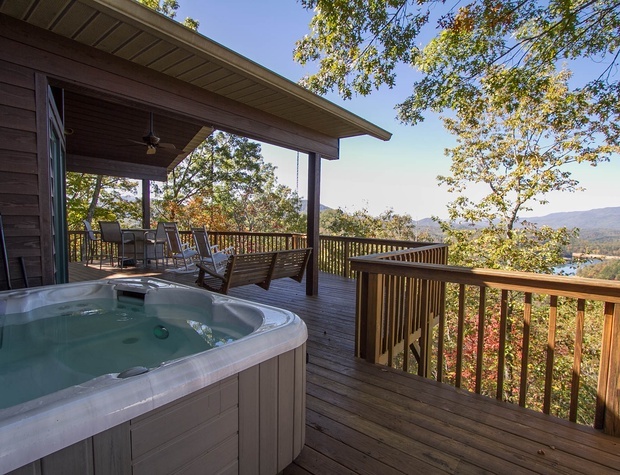 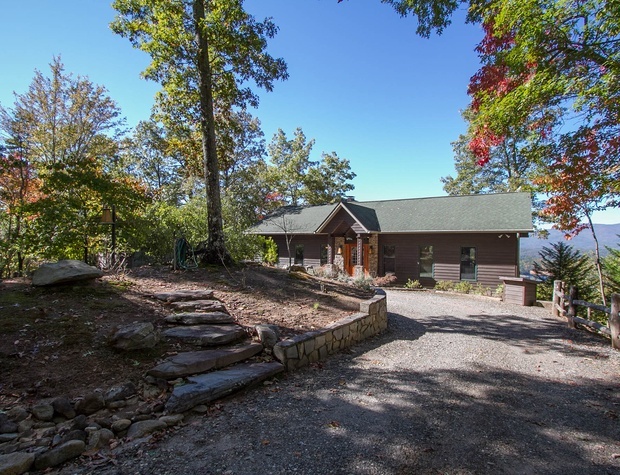 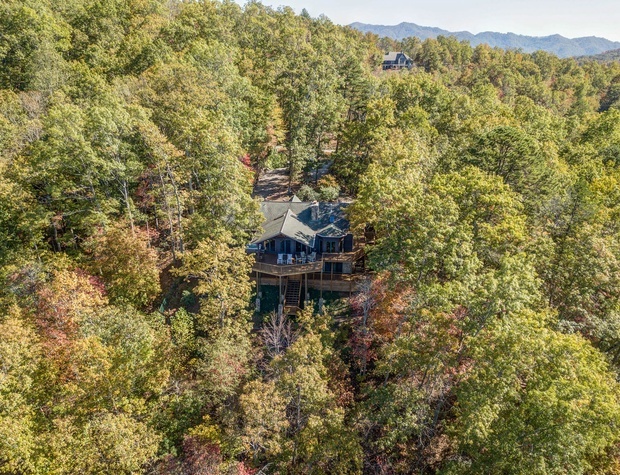 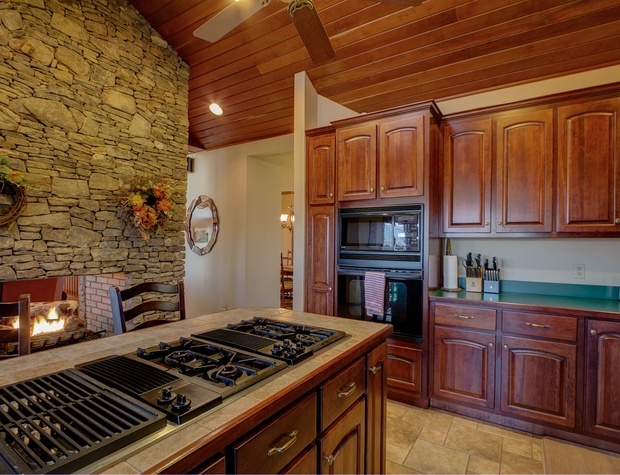 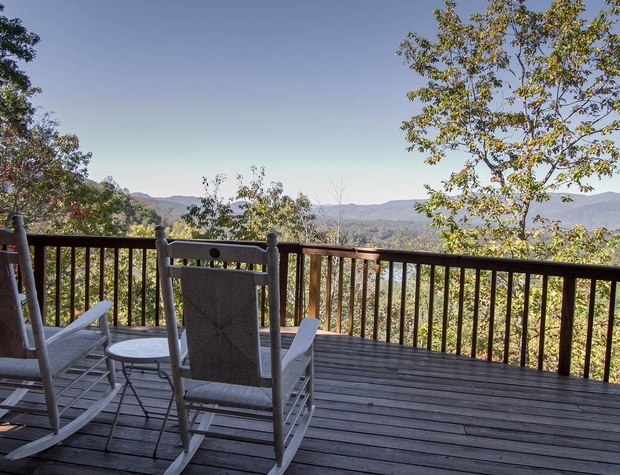 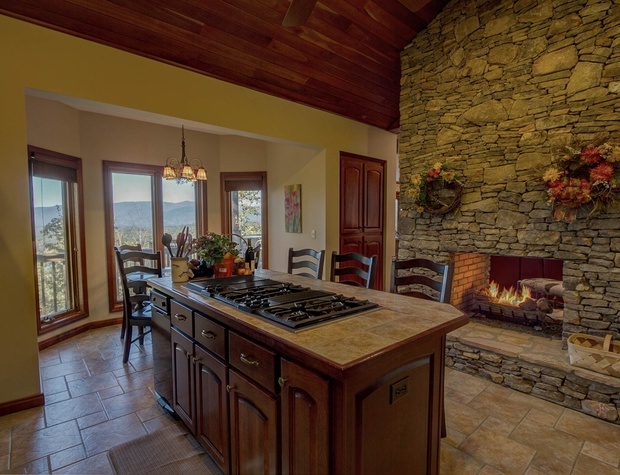 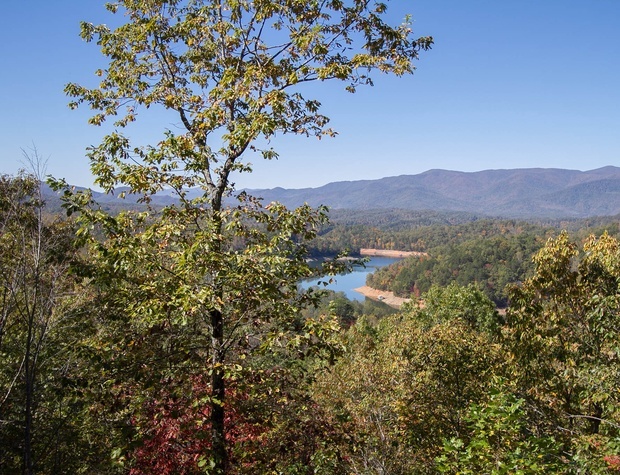 Located in the gated Fontana Lake Estates community, this luxurious 5-bedroom 3.5-bath home features a fantastic view of Lake Fontana, a large living room with a two-way fireplace and plenty of seating, and a separate living area with a kitchenette on the lower level. 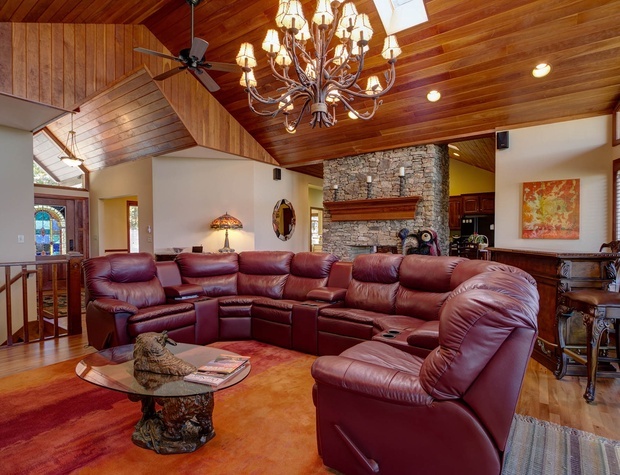 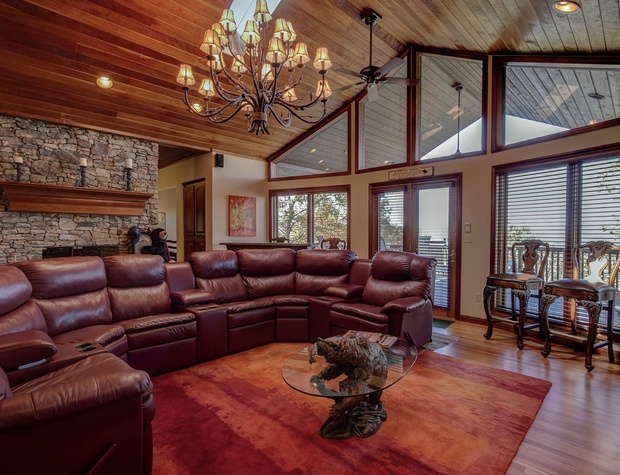 The main cabin entry opens to a large living room with tall ceilings, a large, leather sectional, big screen TV, and a two-way fireplace which connects to the kitchen. 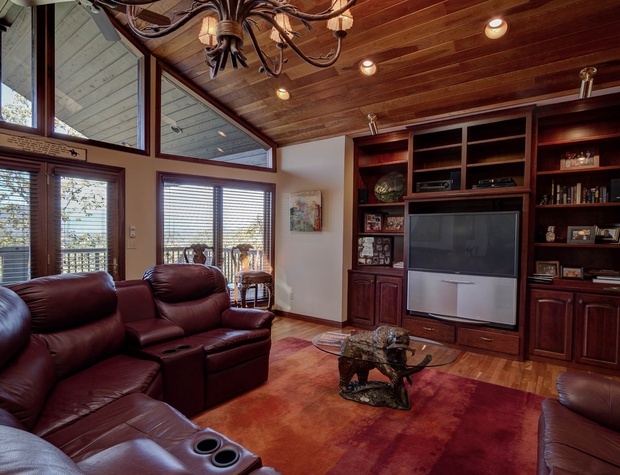 Highlighted by floor-to-ceiling windows, the living room leads out to the deck which features the hot tub, gas grill, seating, and a wonderful lake view. 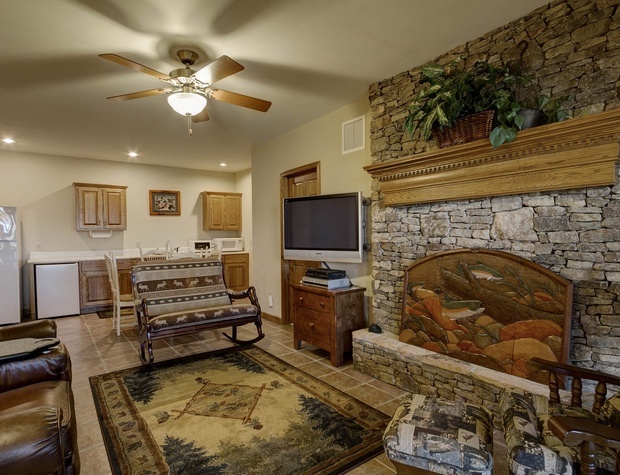 Just off the living area is the master suite which features a king bed and private bath with a large shower, garden tub, and his and her sinks. 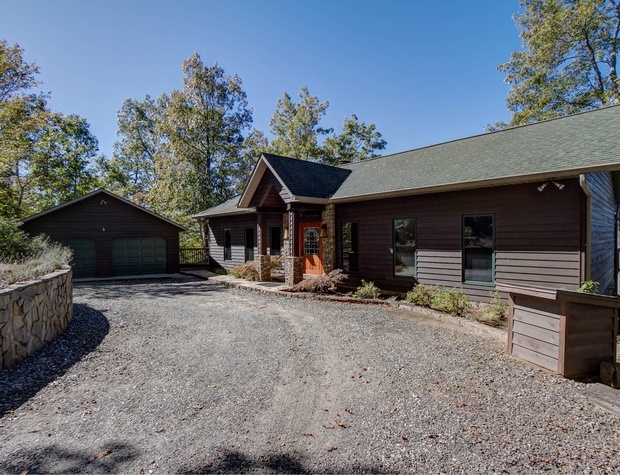 Also, on the main level, there is a full kitchen with a gas stove, pass-through gas log fireplace, and breakfast bar, a formal dining room, the laundry room, and a half bath in the foyer. 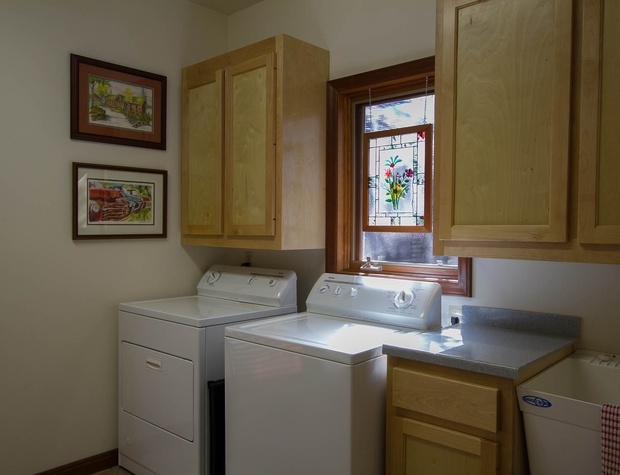 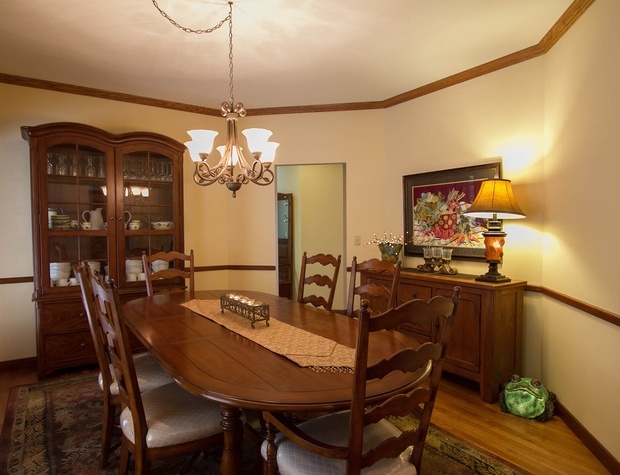 On the lower level, there are four bedrooms, two shared bathrooms, a second living area, and a kitchenette. 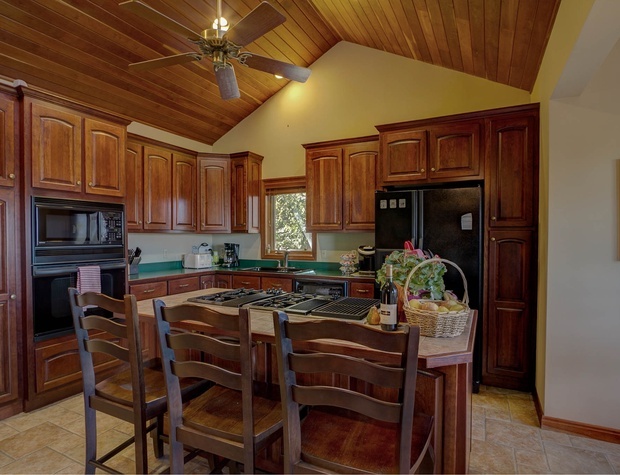 In the middle of the lower level, there is an open living area with a TV and seating, a table and chairs for dining or games, and the kitchenette with a fridge, microwave, and sink. 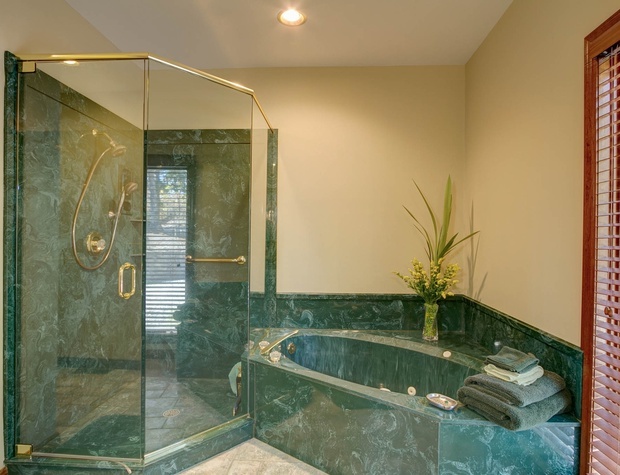 On one side, there is a king bedroom and a full bedroom with a shared bathroom. 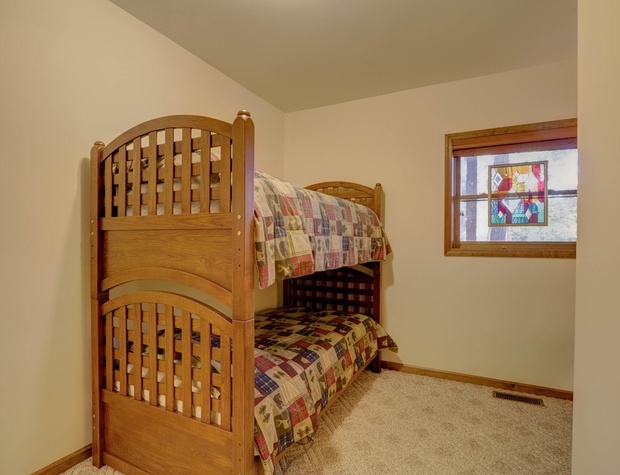 On the other side, there is a queen bedroom which shares a bathroom with another bedroom containing a set of twin bunks. 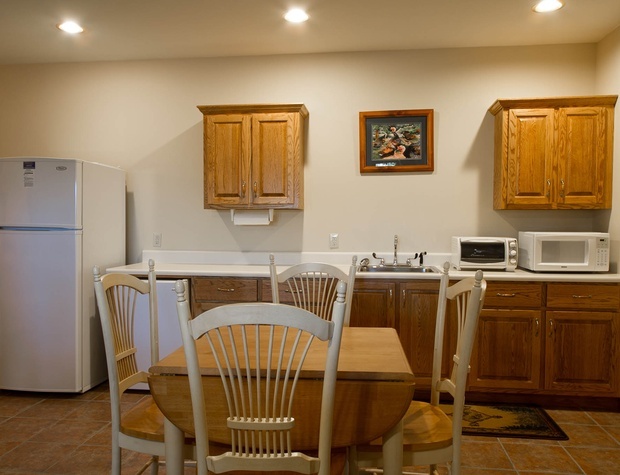 All of our cabins feature both down and foam pillows as well as down comforters. 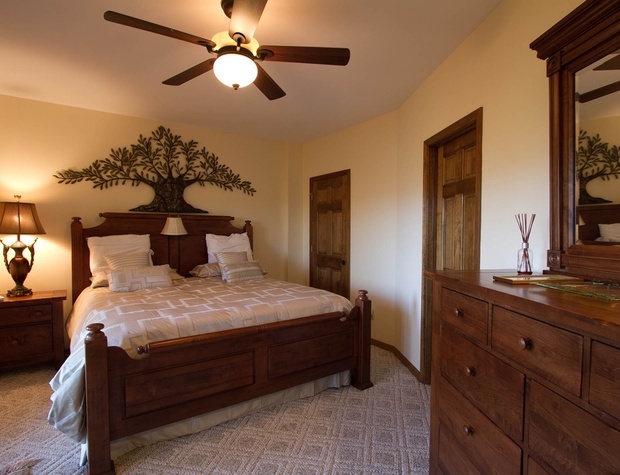 Most beds have a pillow-top mattress, and all are dressed with luxury, all-cotton linens. 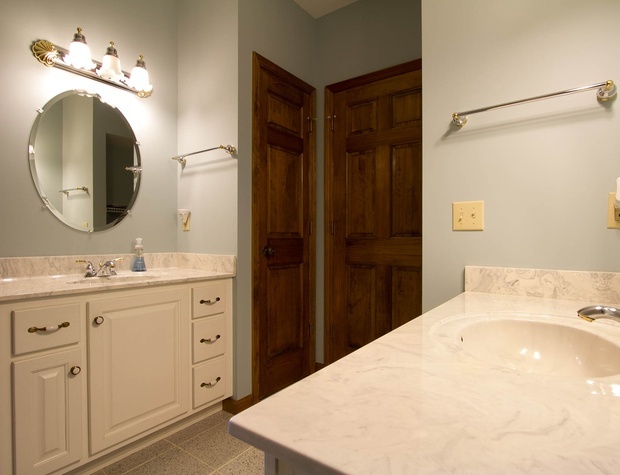 Towels are provided for the base number of occupancy.